For they shall dwell in these specially designed houses offering devine protection from mould, pestilence and vermin. 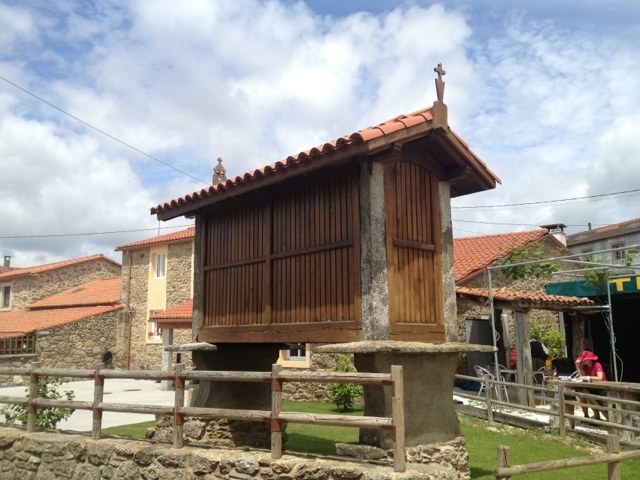 These strange structures can be seen outside houses in the later third if the Camino. They range from the basic to the extremely extravagant and seem to be an indicator of wealth and or status. To me a while to work out what they were but they store potatoes, maize(cobs) and grains etc.